I am STRONG and still Love to Dance in the Rain. Home » Strength » I am STRONG and still Love to Dance in the Rain. I am STRONG because I know my Weakness. I am BEAUTIFUL because I am aware of my Flaws. I am FEARLESS because I learn to recognize, illusion from Real. I am WISE because I learn from my Mistakes. I am a LOVER because I have felt Hate and I can LAUGH because I have known Sadness. I am strong, because I've been weak. I'm fearless, because I've been afraid. I'm wise, because I've been foolish. I am STRONG and still Love to Dance in the Rain. picture/image is an Inspirational Stuff to Inspire and Motivate You. You can download pics by just clicking on the Images. Thanks for visiting Truth Follower an online place for huge collection of inspiring pictures, quotation, and Sayings Images. 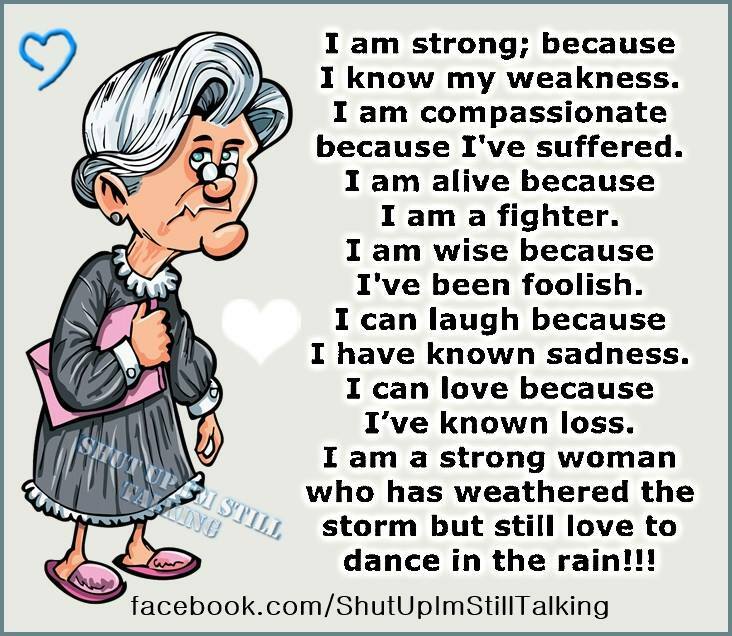 If you like I am STRONG and still Love to Dance in the Rain., Please Share with friends and family on Facebook, Twitter, and Pinterest.